I am finding that good stewardship takes lots of patience! My friend, Rebecca, told me about a book tonight that she thought I would like. She knows that we are kindred spirits when it comes to good books and so when she recommends something I know I will not be disappointed. Unfortunately we have had to endure some costly repairs lately...4 new tires, new faucet to replace the badly leaking one, other various and sundry household repairs...you get the picture. As a result of these expenses coupled with the never-ending list of baseball expenses we have just spent 6 months forking out, I am trying to be very careful with how we spend our money. We rarely eat out and I am pretty set on school stuff, but I am trying to watch all those little things that add up. For me, books is one of those things that can add up quick! So in an effort to be a good steward, I took Rebecca's suggestion and went to my online library catalog with it. I searched for the name ~ Unbroken, in case anyone was wondering ~ and was excited to see my library had it. I typed in my number, pressed "request item" and waited. Well, it seems I will be waiting for quite a while because I was number 161 on the waiting list. 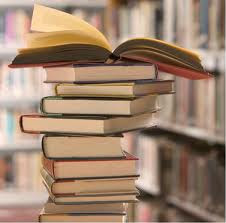 Given that everyone can check books out for 3 weeks, I should be able to read this book by Fall...2020...if I'm lucky!! LOL!! Of course, by then I may need the large print edition so now I am in a quandary as to which version to reserve!! This whole quest tonight has reminded me that being a good steward has it's additional benefits in allowing you to exercise some of those fruits of the Spirit like patience and self-control!! Funny how one spiritual discipline just leads so well into another. Now I guess I better go remove that book from my Amazon shopping cart before I lose what self-control I have managed to hold on to so far!! Aw, sometimes stewardship stinks. I remember once telling Karis we didn't have money for books when she wanted to buy one and she was so shocked. "Did you hear what you just said!!??" It made me sad. Praying your number comes up quickly in the queue. I'm so thankful for libraries!